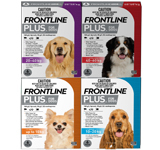 If your vet recommends a medicated shampoo for your dog or cat, use a trusted brand like FRONTLINE PET CARE. 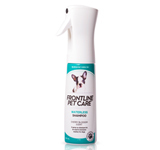 It's an antibacterial and antifungal shampoo that also cleanses and conditions your pet’s coat, leaving it fresh and clean. 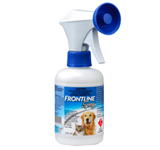 50 ml of FRONTLINE PET CARE MEDICATED SHAMPOO would be adequate to treat a 30 kg, medium hair length dog and 7-10 ml would be adequate for an adult cat. Ask your vet if MEDICATED SHAMPOO is suitable for your pet’s skin condition. This product is not recommended for use in rabbits or species other than dogs and cats. See product label for full claims and directions of use.